Sgt. 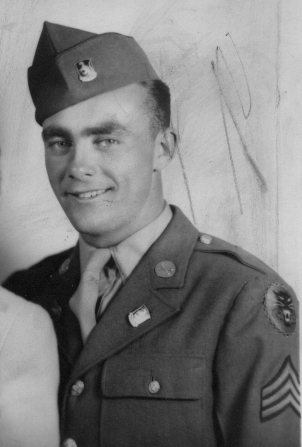 William T. Ropple jr.
1st Platoon Recon. Company 643rd TD BN. Location: Plot: EE. Row: 9. Grave: 212. Location: Plot: D. Row: 18. Grave: 18. On April 12th 1945 around 1500 hours 1st Platoon of the Recon Company 643rd Tank Destroyer Battalion left the hamlet Wespen driving on the secondary road leading east into the city of Barby, just as the Platoon approached almost the outskirts west of Barby three jeeps and two (M8) Armored cars received a heavy burst of fire from out the city outskirts, wounding quite a few men and later proved 5 men were killed, William was one of them. his father. 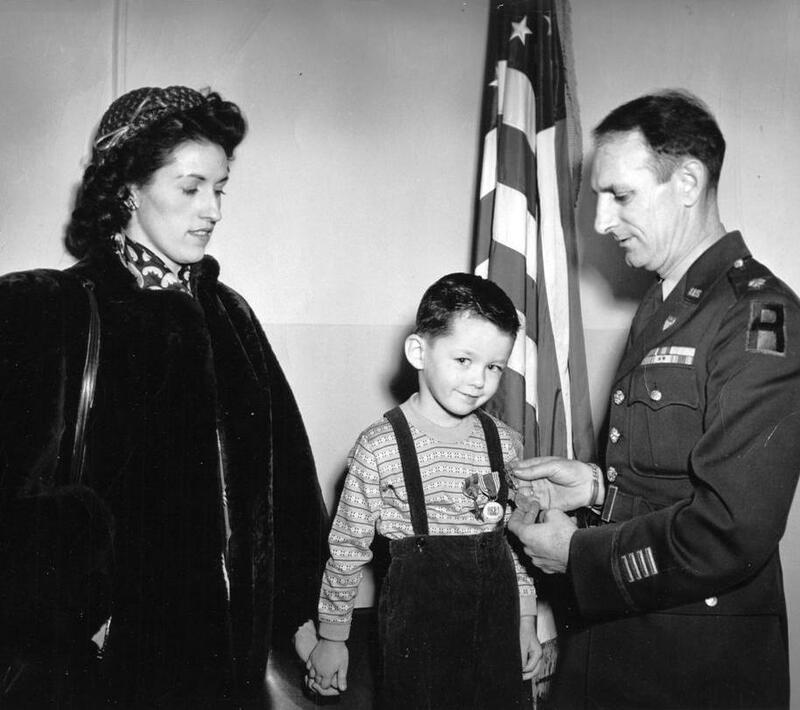 Accompanied by his mother Kay and Major Douglas A. McKillop. I guess you think your soldier son has deserted you. You know I wouldn’t do that, don’t you?It’s first that we’ve been busy often & I don’t get settled very often long enough to write. Well, Folks, you know I must be happy for one thing because I got what I wanted but now I’m just as anxious to get home as I was to come over here. Kay’s letters are certainly keeping the morale high on my post & the fact that she’s feeling in the pink is the most important thing. I hope this letter finds you & dad and the kids o.k. You know you don’t have to worry about me, Mom. You know I never started anything I couldn’t finish and I never did get into any serious trouble, did I? By the way, Mom, I’m sorry about Jeanette. I just finished writing her a letter giving her a little advice. I sent it to the school. Please don’t mention it to her at all & I’ll write her another one in a few days. Also, when I write to Bob I’ll have him do the same. I’ll write soon again. All my love to everyone. American Military Cemetery Margraten, The Netherlands.